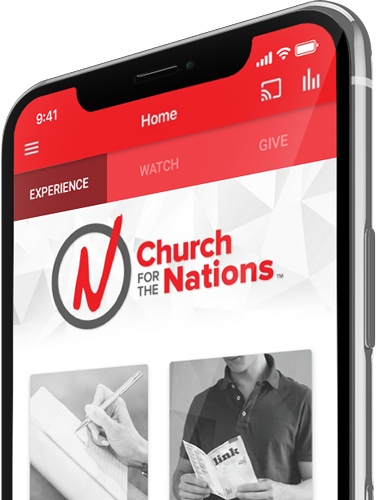 Church for the Nations was born on Easter Sunday, April 20, 2003. In the inaugural service, Lead Pastors Michael and Mary Maiden shared the vision of this new church with the 250 in attendance. Pastor Mike expressed that this church would be used by God to reach the city of Phoenix, and its members would be empowered to impact the nations of the world by what they experience at CFTN. This mission to reach, train, and send believers would be the way they fulfill their calling to be a Church for the Nations. Through its early years, CFTN experienced rapid growth—doubling in size and expanding its many ministry offerings each year. In the first two years, over ten thousand decisions to follow Christ were made in services and outreach initiatives. Their original Sunnyslope Campus became known as a beacon of light to the neighborhood because of the welcoming outreach programs, most notably the family-friendly community night on Halloween and the Christmas gift giveaway for families with kids—traditions that are still carried out to this day. It wasn’t long before CFTN saw a weekly attendance averaging over 2,000 hungry world-shakers. It was during this season that God continued to show great favor to Pastor Maiden and Church for the Nations. Their influence grew in step with membership, with several books, teachings, songs, and leaders being launched all over the world from its home base. As CFTN was being celebrated for what it had to offer outside the church, internally the building was swelling beyond capacity. Meanwhile, God proved He wasn’t finished blessing CFTN. In 2009, CFTN was given a world-class church campus completely debt-free. Presently CFTN’s Central Campus, this miracle property has a rich history and lies in the heart of one of the most beautiful and prosperous neighborhoods in Phoenix. The Central Campus has served as a launchpad for many new CFTN ventures, including: a community center, Turning Point on Central; a ministry school, School of Kingdom Purpose; as well several church plants in new territory. As one dynamic church in multiple locations, CFTN has grown ever-closer to the vision God originally gave Pastor Mike & Mary. Today, Church for the Nations is home to thousands of believers from more than 140 nationalities, meeting at over a dozen different locations across Arizona with one common purpose—to bring glory to the Name of Jesus. The most notable elements of the CFTN experience are its compelling worship, relevant teaching, and love for all people. CFTN is a church that Jesus has birthed, nurtured, and continues to raise up. All glory goes to Him for the awesome things He’s done in and through CFTN over the years, and He has confirmed time and time again that the BEST IS YET TO COME!